Penn State University Libraries uses "Library of Congress" call numbers. 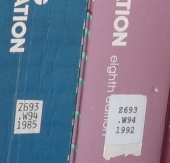 Call numbers appear differently on the book spine and on the online catalog screen. The following call numbers are arranged correctly as they would appear on the shelf. 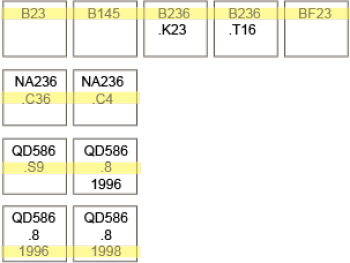 If the second line consists of a number only, it is filed as a decimal after the letters.